I don't know that you've read Dune before. Some of you must have, but you should if you haven't. 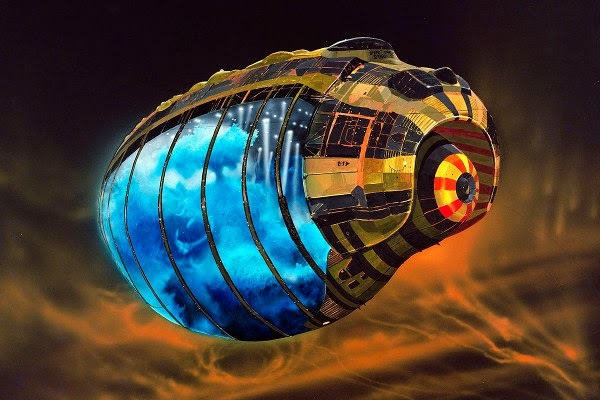 Despite the armada of lore expanding sequels, preludes, and interludes, it kind of stands on its own as a work of science fiction in terms of the important role that it has played within the history of popular science fiction. 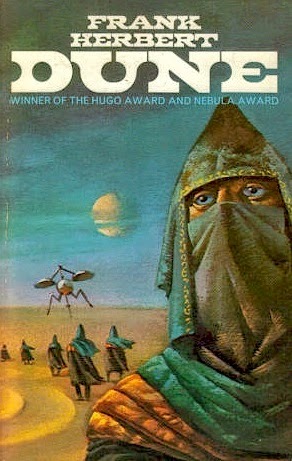 There are few works of fiction that are what Dune is. It is exquisite and exotic, and in its richness it refined a great many things we tend to take as given in epic science fiction these days. 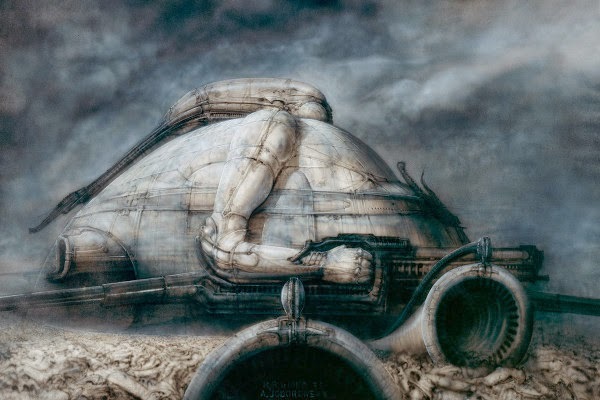 The first attempt to adapt Dune never made it through pre-production, because people were pretty much out on the far edge of space trying to convince the money folk that if they made a 14 hour, science fiction bizarre-o-tron, then people would definitely turn up in droves to pay actual money for tickets. 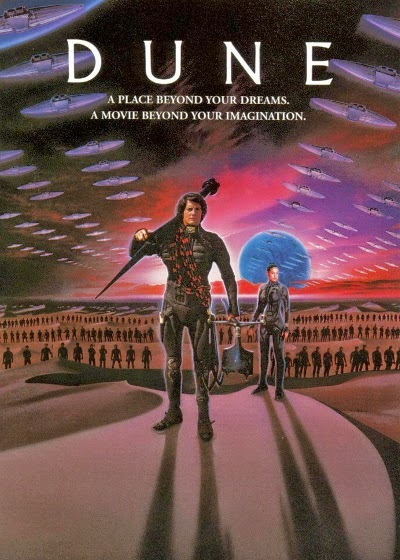 Probably as a direct result of the Star Wars thing, a Dune would eventually be released to cinemas in 1984. Regardless, it would still be the first attempt that would leave the larger footprint in the landscape. 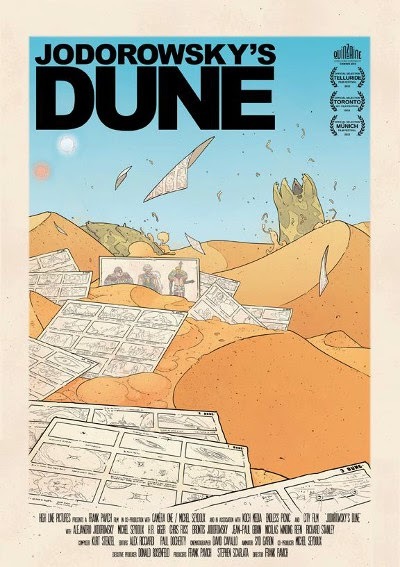 While Jodorowsky's adaptation was never completed, the fallout of it's existence can be seen in Star Wars, and Blade Runner, and Alien, and Marvel's Avengers, and The Fifth Element. And. And. And. It may not have seen its own success, but it was muse to the greats. It mused? No. That means something else. 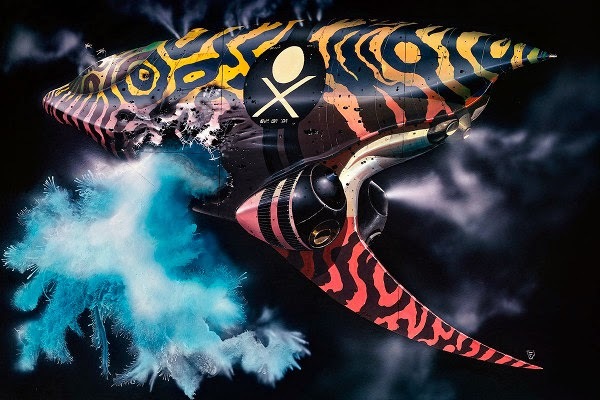 My own personal introduction to Jodorowsky's Dune was through 21st Century Foss by Chris Foss, which occurred years before I read the Frank Herbert novel, or saw the David Lynch film. The book contained only a few examples of Foss' contributions to the project, but they were striking. They were the kinds of burrowing insect that take up residence in your think organ. Over the years, my interest in science fiction art would bring me in repeated contact with the artefacts of this film that had never been made, and I discovered that it went beyond Foss. It was an artistic space conspiracy. 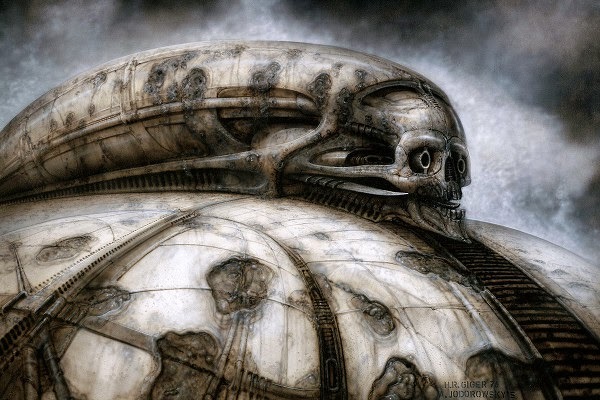 Giger was there. See the picture? Moebius was there too. These were the guys that defined entire aesthetics for our amusement, and they were all there enrichenning the legs off this thing. 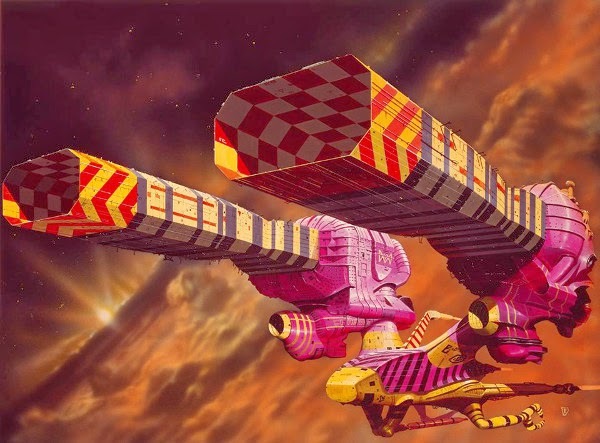 I could literally sit here for hours, so many hours, on end making up words to better talk/write about Jodorowsky's Dune (I haven't even started on the music), but I'm actually here to talk about Jodorowsky's Dune. Did you see the difference there? It is different. You missed it. Go back and look again. The second one is about the first one. It is a documentary, and I can't really explain how much wriggling I have done over this. Being a man who derives an extraordinary amount of pleasure from the special features included with really beautiful science fiction films, this is most definitely in my wheelhouse. I am deeply invested at this stage, and I'm wondering already if there will be special features on the DVD. Will it basically be a DVD of special features for a film that I can never watch? I crave this experience. You may not know me personally, but this is the kind of person that I am at my very core. We will become Tantalus. That is actually the second time in two days that I have used that reference. Anyway, we will be able to see, but never have. I'm not going to lie, I'm already excited about the 25th anniversary five disc collector's edition box set. Except, we won't be using discs in 25 years. 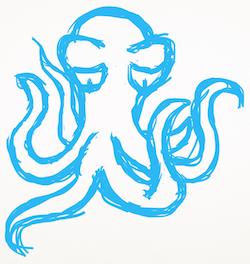 Look out for it on Google Play, and Steam. They'll have it when the quarter century rolls around. In the meantime, hangout at the website, and watch it when it comes. There is also a great interview with the Frank Pavich, the director of this thing about the thing, over at The Verge, which is worth the time it would take to read it. I just went crazy with the pictures on this one. You need them though. They're good for you. Imbibe! I didn't really write enough words for all of these pictures. I could express my excitement with actual words, but it would probably be more concise to squeal and wriggle. There would also be yelping and snacking. Snacking! Having not yet seen it, there is only one thing of which I am 100% certain: At 90 minutes, it isn't long enough. Did I tell you to go to the website? They have a gallery with high quality images that you can get excited about. I believe Dan O'Bannon went over to France to work on this as well, before returning to the US to co-write the original Alien. 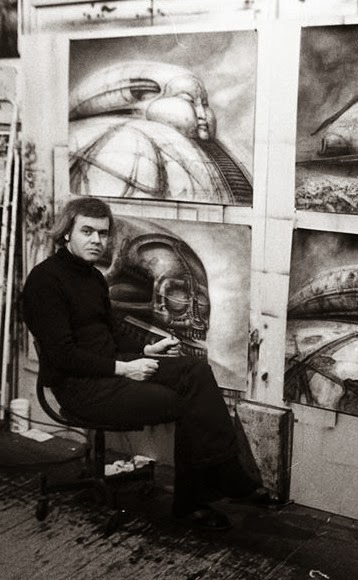 This was how he was introduced to Geiger and subsequently how they came to ask him to do the artwork for Alien. Yeah, I think that he was doing special effects for 'Dune', or some such. 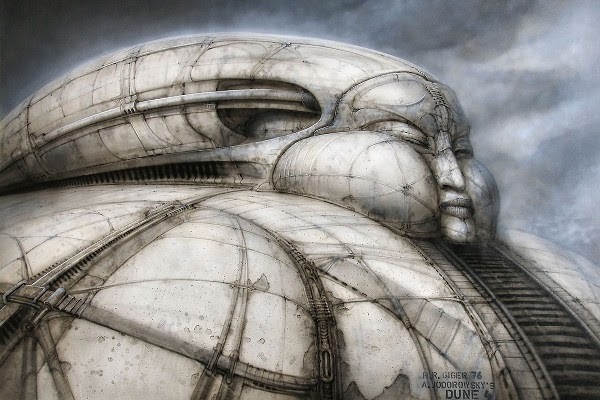 I've got an interview somewhere in which he talks about the impact that working on 'Dune' had on his work on 'Alien', and he talks about Giger and Foss.